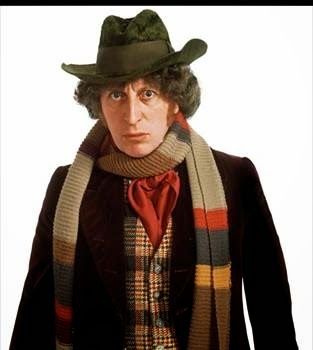 Tom Baker says he’s thrilled that the classic Doctor Who series is to be screened on the Horror Channel. “Horror is my very favourite genre,” he said today, “so I am thrilled the classic Doctor Who series have been picked up by the Horror Channel. There was clearly a darker edge to my storylines, which I think brought a new dimension to the series. I remember hearing of the series scaring children – I wonder how the audience will react to the series today, all grown up. He added: “The Horror of Fang Rock’ is one of my favourite stories so I’m looking forward to that one!" Horror Channel has completed a deal with BBC Worldwide to broadcast 30 stories from the Classic series which ran 1963 to 1989 featuring the first seven Doctors, starting with William Hartnell and concluding with Sylvester McCoy. Launching on Fri 18 April (Good Friday) the season begins with the very first story ‘An Unearthly Child’, and then leads into a special WHO ON HORROR weekend - a classic marathon featuring one story from each of the Doctors across the Easter weekend. There will then be weekday double-bills in daytime and evening slots with stories shown in chronological order starting on Easter Mon 21 April.